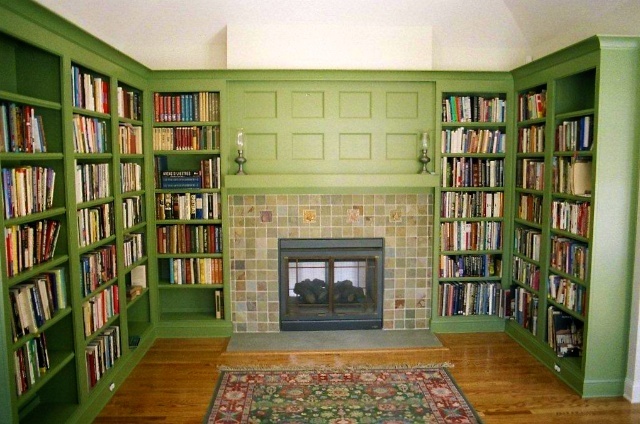 Simple painted bookcases on either side of the fire place. 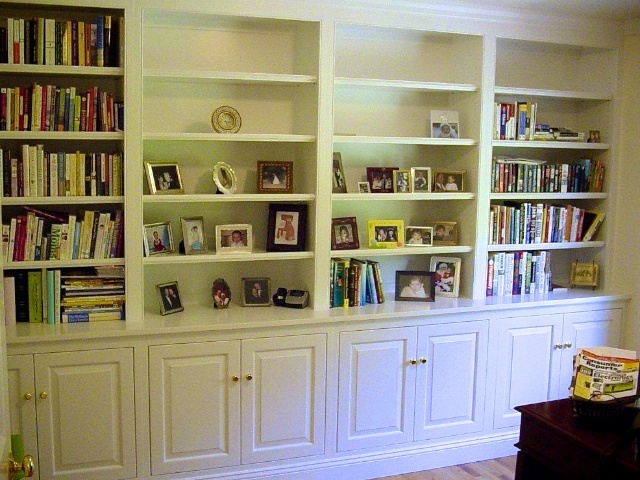 Base cabinet drawer below bookshelves. 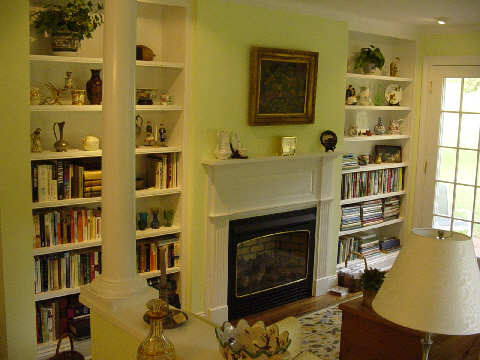 Built from poplar and finished with brushed paint. 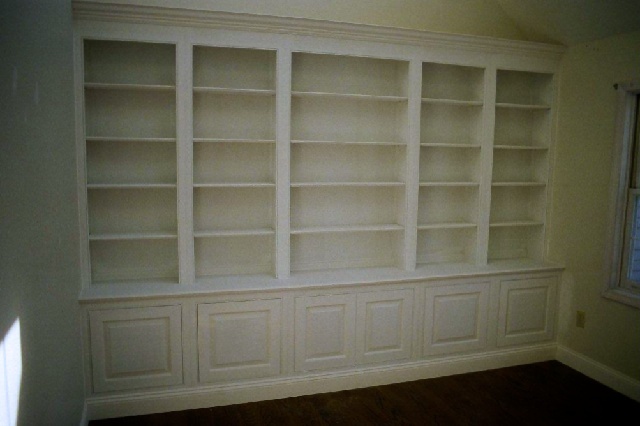 Custom bookcase with an arts & crafts feel. Built from poplar and finished in brushed paint. 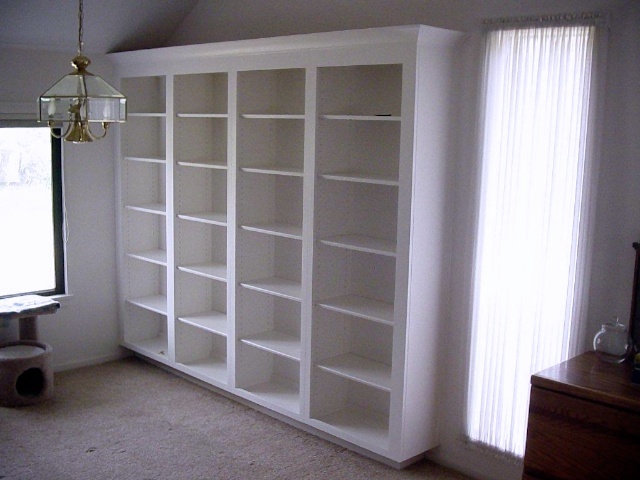 Basic solution for storage and books. Built from poplar and finished in brushed paint.